We all should be making safety a priority in our daily work routine. Experience has shown that all the safety training and equipment in the world cannot ensure a safe workplace unless managers and employees have a positive attitude about workplace safety use the equipment provided and incorporate the training into their daily routine. Work with your supervisors and fellow employees to help ensure that you have a safe workplace. Keep in mind that workplace safety rules are developed and enforced to protect you and make certain you go home healthy and safe at the end of every work day. 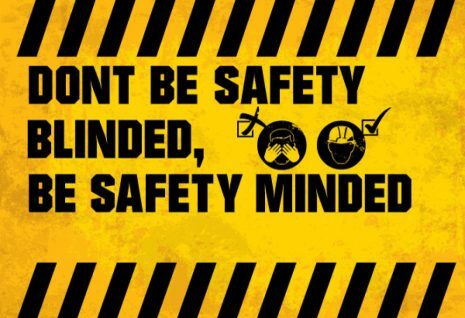 Make safety an important part of your job and help set a good example for other employees. Do not take safety for granted. Keep your guard up and stay alert. Operate equipment only if qualified. Do not operate machinery on which you have not been trained. Make sure all guards are in place. De-energize the power before placing your hands in a point of operation. Evaluate terrain and tip over hazards when operating powered industrial trucks. Inspect machinery to ensure it is in proper working order prior to use. If you need a ladder get a ladder. Do not use a chair, boxes or racking instead of the ladder. If you are uncertain, ask. Don’t guess and try to muddle through. Use care and caution when lifting. Know your lifting limits and do not attempt to exceed them. The few minutes it takes to get assistance or equipment to help lift the load can prevent immeasurable pain. Good housekeeping reduces hazards in the workplace. Always put away tools and equipment. Keep floors and aisles clean and clear, pick up scraps, and wipe up spills. Work clothes should fit properly. Anything that can catch in machinery or trip you up is hazardous. Wear protective clothing and equipment as required. Practical jokes and horseplay can be dangerous especially around machinery. Never fail to report accidents, defective equipment, and unsafe conditions. Be a positive part of the team for safety. Willingly accept and follow safety rules and encourage others to do the same.